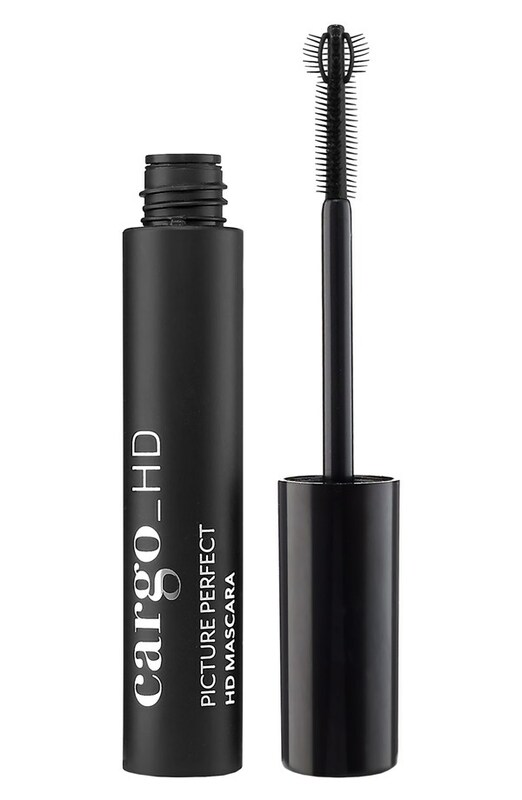 Cargo HD Picture Perfect Mascara - $26 - a miracle mascara that thickens, lengthens, volumizes, curls and defines lashes. With a powerfully pigmented black formula that encourages curl while creating volume and adding length.The high-tech brush applicator features innovative fibres in a curved shape increasing volume in even the smallest lashes, capturing each one at its base to ensure perfectly coated and shaped lashes that never clump or smudge. Sleek enough to be used on the upper and lower lashes, this buildable mascara provides flawless and dramatic camera-ready lashes. To apply, they recommend that you press the wand at the base of the lashes and wiggle as you extend out. Next turn the brush and use the brush extension to get hard to reach areas like the inner corner and lower lashes. When turned it should provide perfect sight in the mirror to see where mascara is being applied. The little spiky thing on the mascara wand is a bit scarey but I have to admit, this mascara offers a really dramatic look! It looks a little bit clumpy when my eyes are closed and it didn't curl quite as much as I had hoped but overall it went on easily and looks great! Available at Murale, London Drugs, Lawtons and Rexall stores across Canada.